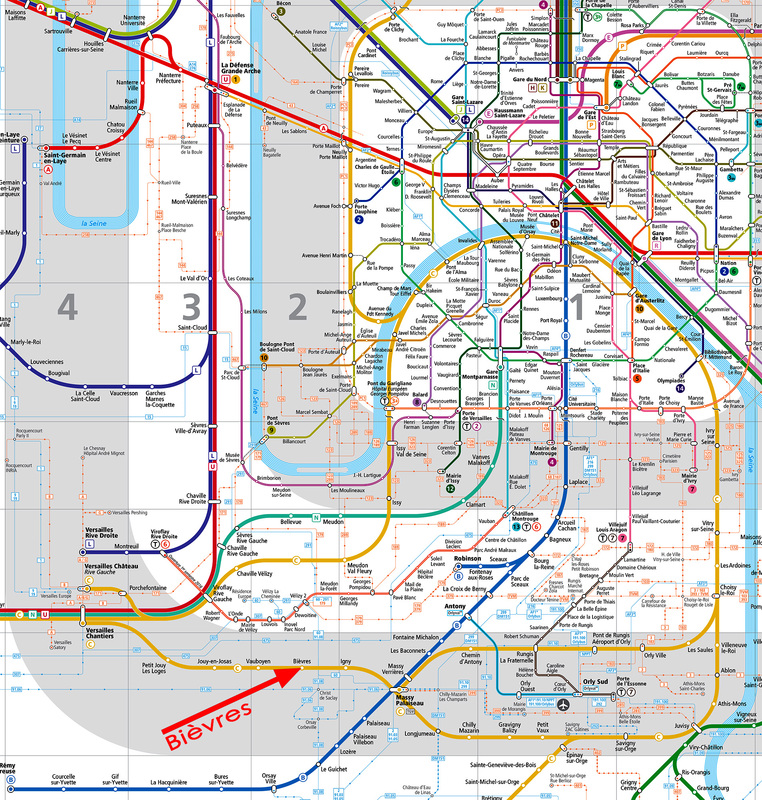 The best way to get here is by public transit from Paris. The Fair is accessible from the Bièvres station on the RER C rail line. By Transilien N line from Gare Montparnasse , transfer at Versailles-Chantiers to the RER C line to Bièvres. 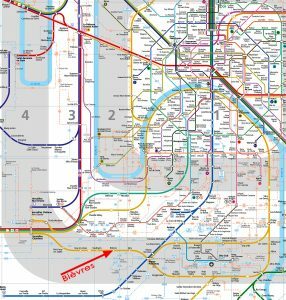 From Châtillon-Montrouge (end of Métro line 13) to Mairie de Bièvres. 11.2 kilometres (7 miles) and a good uphill climb from Châtillon-Montrouge (end of metro-line 13) ! The PSA parking lot will be available free of charge on Saturday afternoon and Sunday, and will be linked by shuttle bus to the fairgrounds. 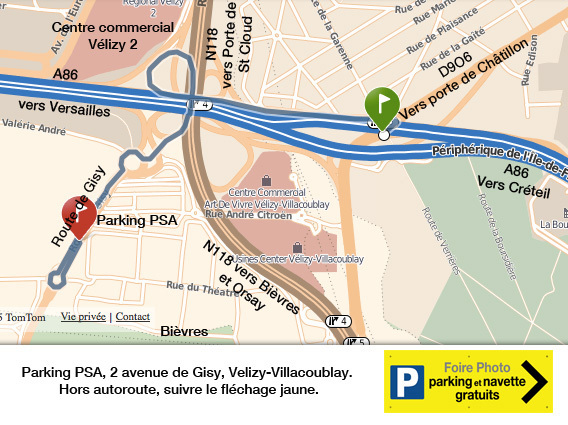 GPS: parking de PSA, 2 route de Gisy à Velizy-Villacoublay. From the Porte de Châtillon take the D906 straight to Petit Clamart, then the N118 heading toward Chartres and exit immediately at “Bièvres”. From the Pont de Sèvres take the N118 to Bièvres. From the N118 take exit 4.1 to the “Zone artisanale de Vélizy-Villacoublay. 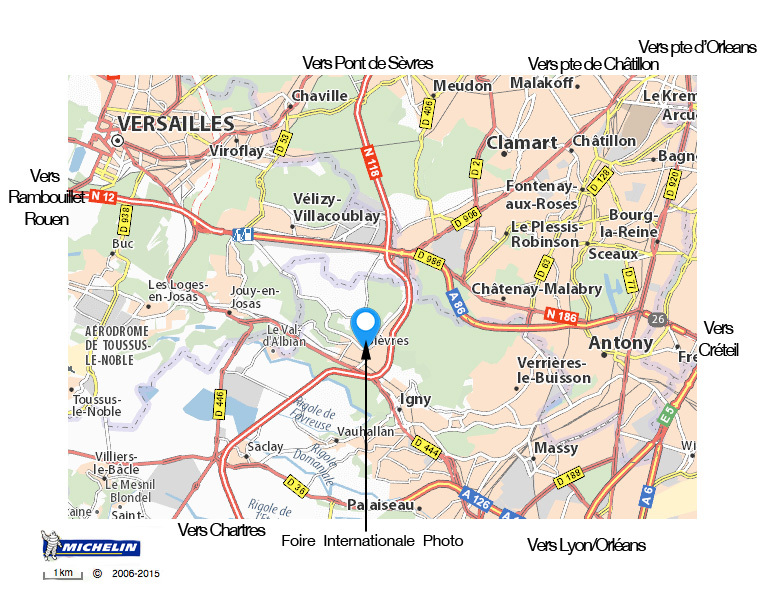 From the Petit-Clamart intersection take the A86 off-ramp (direction “Vélizy-Villacoublay”) to the N118, remain in the right-hand lane and exit immediately at exit 4.1 to Bièvres/Vélizy-Villacoublay/Citroën/Eurospace, then at the roundabout take the second right and at the next roundabout take the third exit. The parking lot will be 200 metres on your left. Leaving PSA parking lot from 7:45 a.m. to 6:45 P.M.
Leaving Bièvres Town Hall from 8:00 a.m. to 7 p.m.